Eagle Creek to Punchbowl Falls Hike — lady in shred. 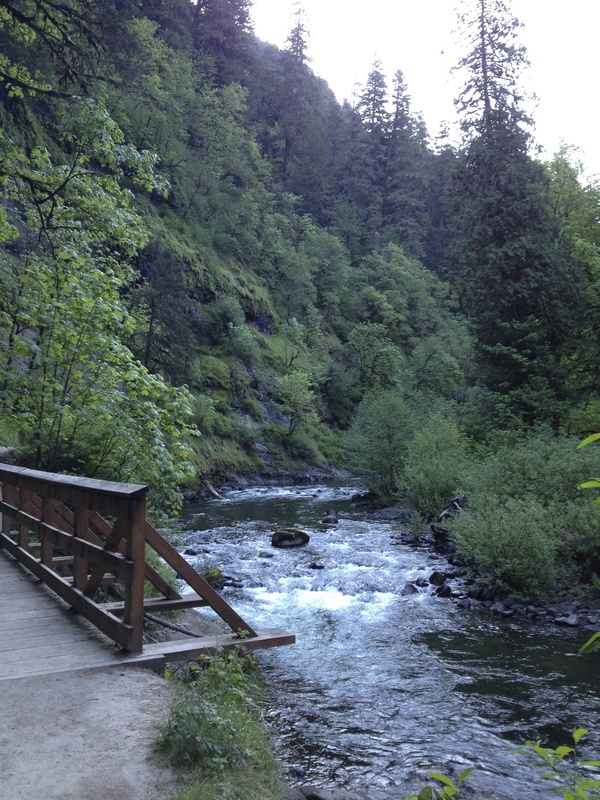 One of the most popular hikes outside of Portland, the Eagle Creek trail has something to offer any ability level of hiker. My mom was in town from Minnesota and since this was our first hike of the season, we decided to make it an easy one. 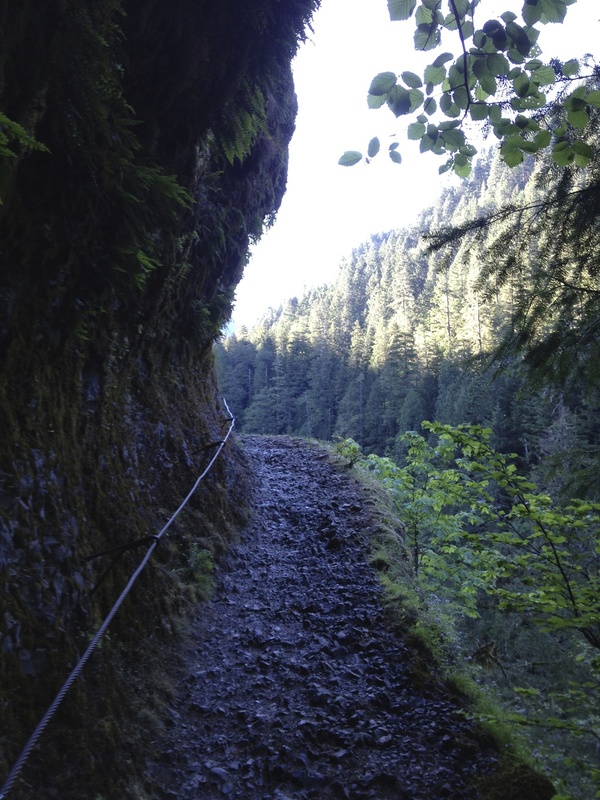 The trail to Punchbowl Falls is relatively flat and an easy 4 miles round trip. Don't be fooled by the ease of the hike though, there are still steep cliff faces to traverse (with the help of a cable wire, if need be), multiple waterfalls, and plenty of stretches of wild-flower-lined trail. We got up early on a Monday morning and started hiking at 7:30am. With a short stop at the Metlako Falls viewpoint (at about 1.5 miles) and a few photo opps in between it took us about an hour to get to Punchbowl Falls. We spent another half hour exploring around the falls and hiking to the high view point. If it had been warmer, we would've waded into the "punchbowl" and photographed the falls head on. Instead, we settled with some photos of the lower falls. After another hour we were back at the trailhead, making this a 2.5 hour excursion round-trip. It was nice to get up there early, as there seemed to be big groups of people heading up the trail around 9am. This was a great first hike and a good way to show off the beauty of Oregon to any visitors. Just make sure to get up early to avoid the crowds.